Strict no for planted tanks, compared to other loaches, these dig more. In fact when u have to mantain the tank, they go into hiding beneath stones, wood etc by digging into the substrate. Be cautious. A sandy substrate is a must since they love to dig into it to find food. They jump when they're stressed. Be careful. How come you have them in a planted tank then? I've been looking for them since forever, where did you get them from? Thanks actually they were in a tank with lot of crypts. They're ok with crypts. But any carpet plants will be surely floating on top always. I got them from Sarojini NAgar shop. I have seen them on sale so often, I think they are the commonest loach species of all in Delhi. I don't know why you haven't noticed that yet. I am looking for Queen Loaches (Botia Dario) and I recently heard Botia striata is now endangered, so not easily available, but even the latter I often see on sale. sadly, saw Queen loaches just once. Compared to you Rom, I am just a rookie. There are many shops in Delhi I am not even aware of. P.S sad to know about Botia striata. Are these fish still collected? I mean is large scale breeding not possible in artificial ponds. Characteristics: These always stay in the middle portion of the aquarium. 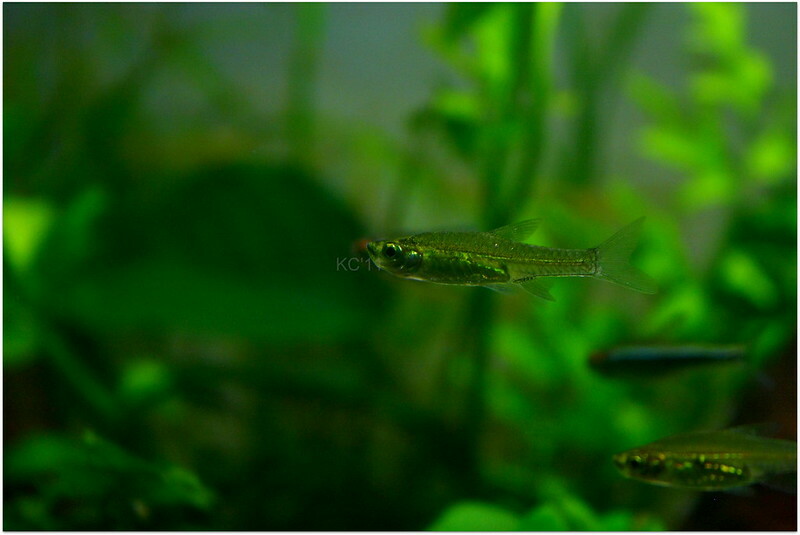 Very fast swimmers, can be difficult to catch in a densely planted tank. However, very docile towards other tank mates. Once fully set, shows off greenish-gold colouration. I've not had any of them jumping out of open top tanks. This fish schools really tightly, compared to your regular tetras. They school with other schooling fish too. Diet: Crushed Pellets, micro pellets, blood worms, any small pellet or flake food that fits in its mouth. Not a fussy eater. This will definitely (and has, in my tank) eat your shrimlets, be careful. However, they don't feed from bottom, unless they see a shrimplet which can be gulped. Tank size etc: A group of 8-10 would be ok with a 2' tank with less tank mates. Excellent choice for planted tanks. Can add contrast to your existing stock of tetras, let's say, in your 3' planted tank for example. A group of 15-20 fish would look spectacular. 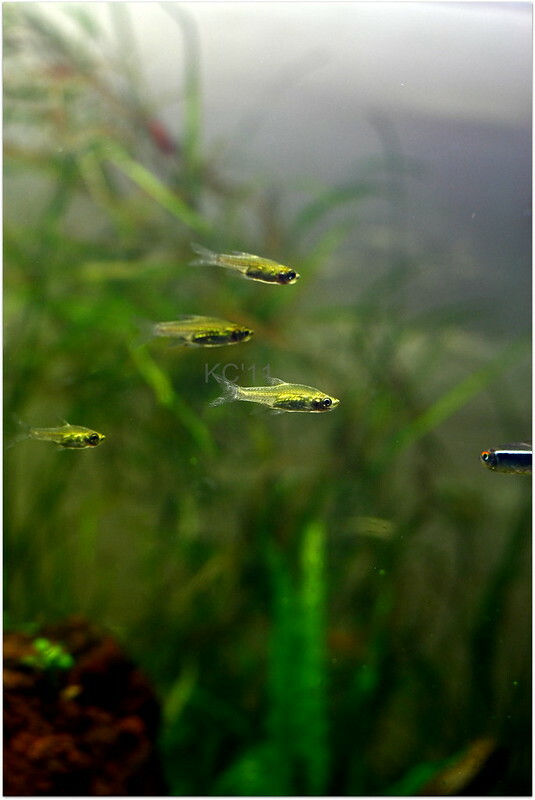 Tankmates: Any docile, small fish would be ok. Not as fast as Zebra danio to be used as dithers. Would be fine with mid size or small size tetras and other regular planted tank fish. Definitely a potential live feed for Angelfish (lost 8 of them like this) and other aggressive monster fish, be careful while stocking.